This guide on paint color selection uses the color wheel as an aid to choosing paint colors and creating the ideal color scheme suited to your room. 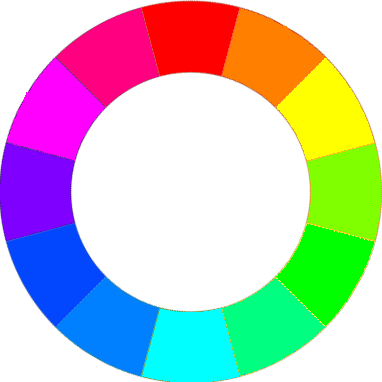 The color wheel is a way of ordering colors into certain groups (hot or cool and so forth,) with the three primary colors being equally spaced around the wheel. Those colors considered to be in the "hot" half would be pink, red, orange, and some yellows, and those considered to be "cool" would be the purple, blue, green, and paler yellows. When choosing whether to have a "hot" or "cool" paint color, think about which direction the windows face. East-facing windows that let in early morning sun benefit from using warm paint colors, whereas a west-facing room favors the use of a cool, light scheme. With this in mind, pick up any paint color chips that appeal to you in the store, and see how they look in your room, as light alters at different times of the day. 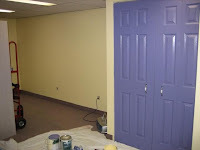 If you are still stuck on how to choose paint colors for a room, then look around you. If there's an item you really love such as a couch that is part of the scheme, then choose that as a main or accent color for the room. Even if there's something really small, like a vase, or a cushion that you just had to have, use this as the focal starting point, and go from there to choose your paint and overall color scheme. 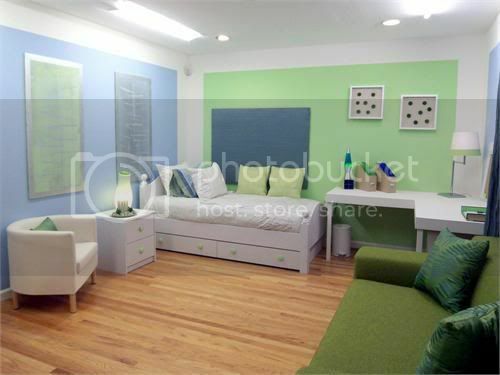 A monochromatic color scheme is based on one color. It sounds dull, but the trick is to use varying shades and intensities of a single color. The monochromatic scheme works well anywhere, but is ideally suited to smaller rooms that would be overwhelmed by the using too many colors. Remember to choose different shades of the paint color, and use texture and pattern to break up any monotony. Using black, white, and neutrals as accents is obviously acceptable. 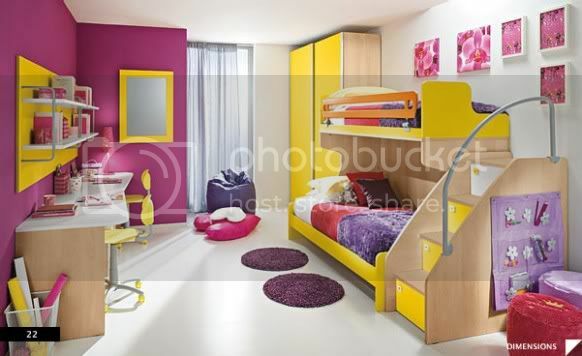 A harmonious color scheme uses colors that are next to each other on the color wheel. Make your main paint color selection, and then use the color wheel to choose the coordinating paint color by selecting one color next to it on the color wheel -example: orange and yellow. Or, select your main color to dominate, and then one from either side - a second color as support, and a third as an accent color. Examples of this type of color scheme would be: green, blue, and yellow; or red, purple, and blue. When using a harmonious color scheme, it is not ideal to stray any further from your chosen main paint color than one color away on the color wheel. Bear in mind, the overall effect should be harmonious and pleasing to the eye - often the kind of scheme found in nature. Metallic elements work well in a harmonious scheme, but even stainless steel matches better with some colors than others. A complementary color scheme, uses two colors that are on opposite sides of the color wheel from each other - example: yellow and purple. These colors create a vibrant look together, but a lot of considerations must go into this color scheme to make it work. 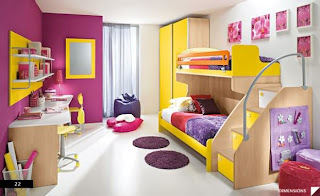 If this scheme seems to overwhelm, try using more muted shades of your chosen colors, such as pale yellow and lilac, rather than full on yellow and purple. Once you have selected your main paint color, add a complementary color in smaller quantities as an accent color. 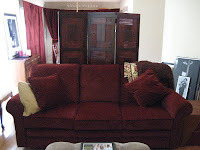 Think of a green couch with red cushions or a purple vase against a yellow wall. Using the colors in this scheme at equal color intensity levels is also very important. While pale yellow and lilac look great together, using pale yellow with a vibrant purple may not, as the yellow would be lost in the scheme, rather than featured as a lively accent color. There are other more involved ways of creating a color scheme, but by learning how to use the color wheel to choose paint colors, along with this selection guide to choose paint color, you’ll be creating professional looking color schemes with ease.